Right now you’re preparing for your new students, catching up with colleagues, planning your lessons, and stocking up on new classroom supplies. 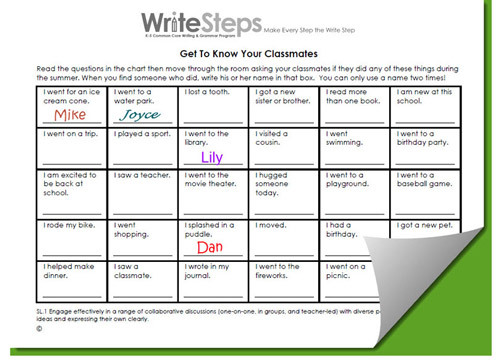 Have your students complete this activity during the first week of school. It helps break the ice, eases those nervous butterflies, and sets a welcoming tone in your classroom. As summer ends and children start returning to school, I realize I took those back-to-school moments for granted. To me, the last weeks of August leading into fall are synonymous with returning to school. And during this special time of year, to finish the quote in You’ve Got Mail, it makes me want to buy a bouquet of sharpened pencils.